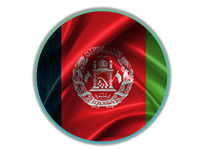 A member of the International Chamber of Commerce, Afghanistan office, says that Afghan health tourists traveling to neighboring countries of India and Pakistan face many challenges, calling for greater access to Iranian healthcare services for Afghan people. Speaking at AriaMedTour’s office in Tehran, Khalil Soufizadeh cited the language issue as a major problem for Afghan medical tourists traveling to India for medical treatment, which has become an Achilles heel for them, being frequently exploited by interpreters and tourist guides, who often ‘fleece’ patients by taking them to low-rated hospitals and doctors and charging them a lot of money. On the other hand, Iran is considered a great alternative for Afghan patients, as the language is no longer an issue for the travelers, Soufizadeh said. With modern hospitals equipped with the state-of-the-art medical equipment, as well as highly-experienced doctors, Iran has much to offer. Mr. Soufizadeh visited a few hospitals in Tehran to get familiar with the Iranian healthcare facilities. He reiterated that measures should be taken to familiarize the Afghans with Iranian healthcare services. Given that the costs of healthcare services in Iran are lower than those of India and Pakistan, and considering the other merits of medical tourism of Iran, some of which mentioned above, Iran is the most ideal destination for Afghan patients, so that for a medical service ‘they would not be wandering around in India and Pakistan,’ as Mr. Soufizadeh puts it.